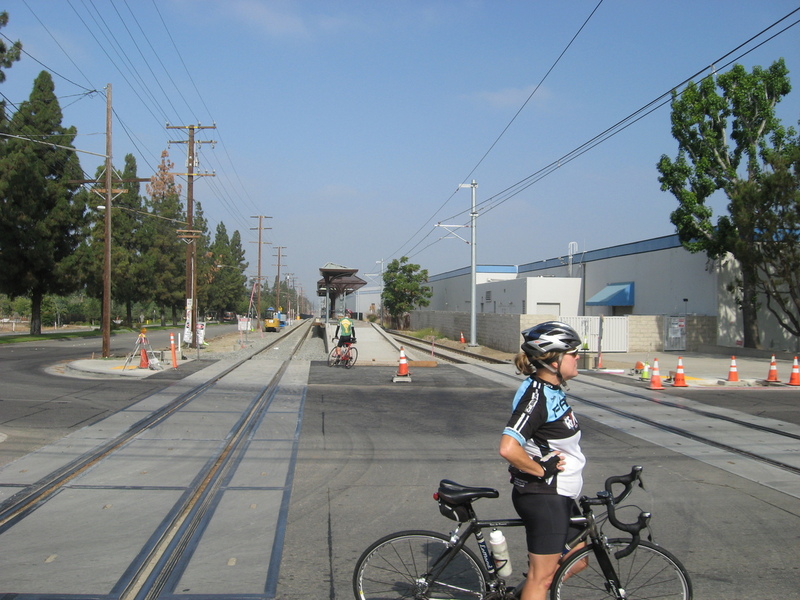 Today’s bike ride was a repeat of our tour of the Metro Gold Line Extension. It’s been four months since we last did it, so we wanted to see how the construction is coming along. The first stop was the new Arcadia station. They have made visible progress, although the tracks are not yet built there. They’re put in the tracks down the center of the freeway, though. And they’ve started construction on the big parking structure next to the station. 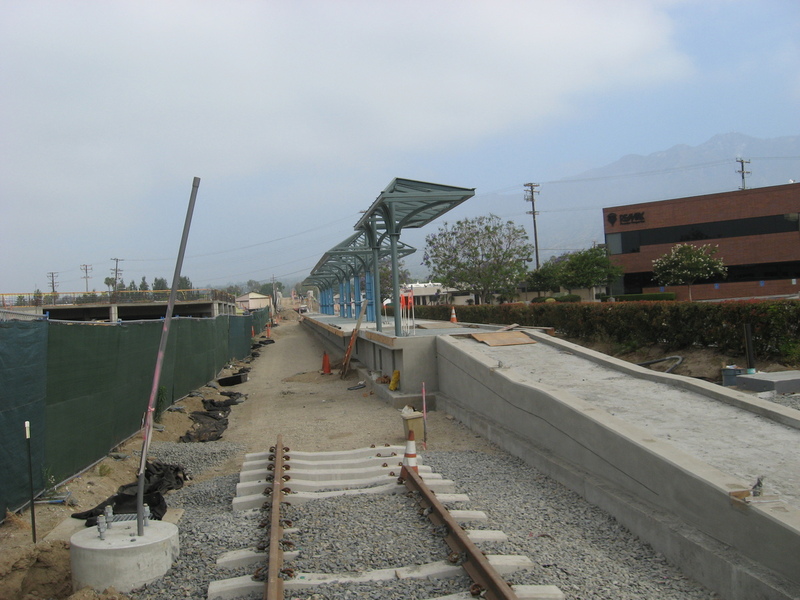 The Monrovia station is coming together. 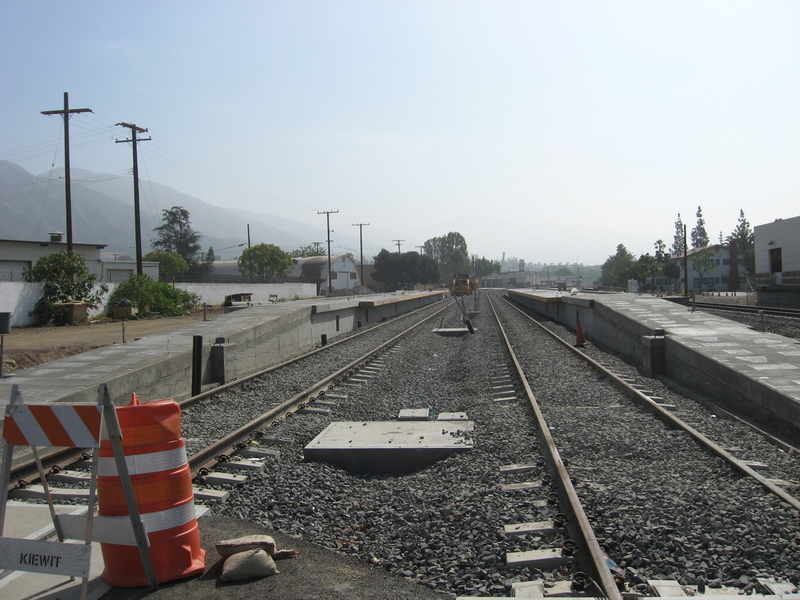 The tracks to the east of it to Duarte are in, and they look like they’re almost finished ballasting and leveling the new tracks there. Heading east on Duarte road, we were stopped at the light at California when Metro bus pulled up alongside us and the driver proceeded to harass us. He said we were not ’sharing the road’. 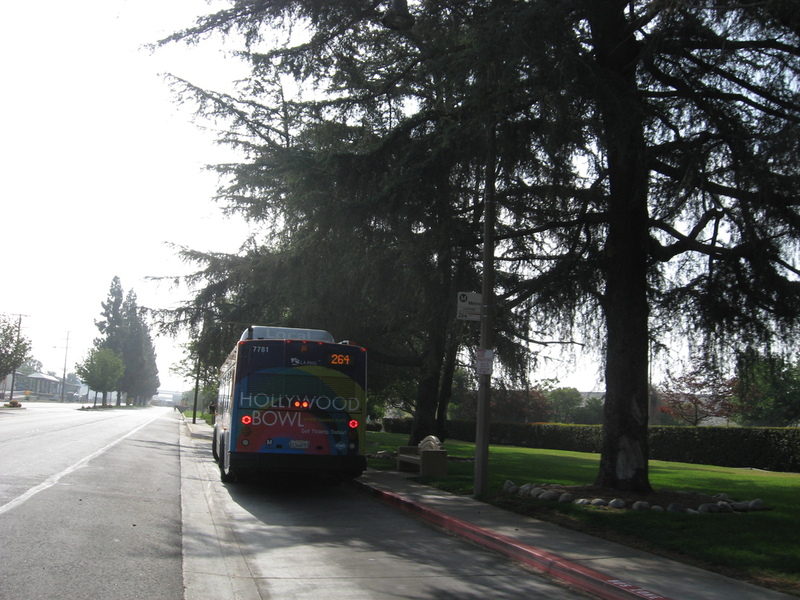 I snapped a picture of the bus as he pulled away to document the time this occurred and the bus number. We caught up with the bus down the road, but the driver was nowhere to be seen. Still, I got the numbers on it, and I told every one that I felt a letter coming on. The far point of the ride was when we rode through Azusa and a bit of Glendora. 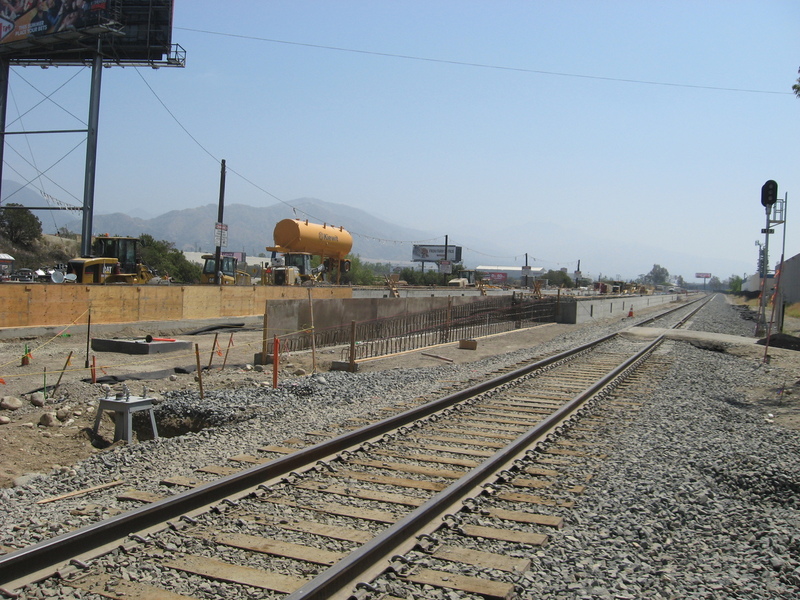 We saw the two Azusa stations under construction. The first one is pretty far along, while the second one seems to still be just a sign saying it’s coming. 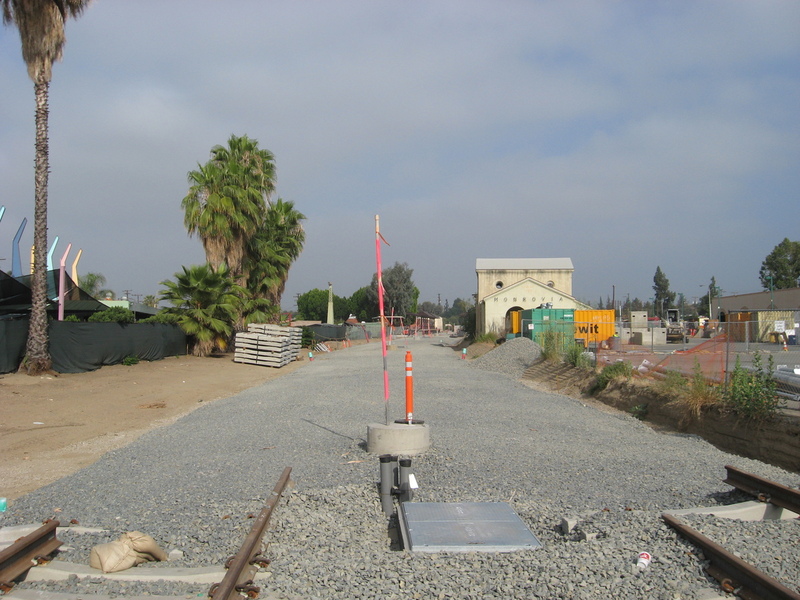 On the way back, we saw the site of the Irwindale station. There’s still not a lot there, but it’s definitely more than last time.